Ah, Olympic fever. Despite mixed reactions to the USA uniforms (thanks to Lizzie for this post) and some alarming tweets from the press about the hotels, we’re still excited for the official opening of the Winter Olympics in Sochi, Russia. Most fans have been watching the skating and snowboarding, enjoying the games in advance of the opening ceremonies. Of course, Pendleton has an Olympic connection. 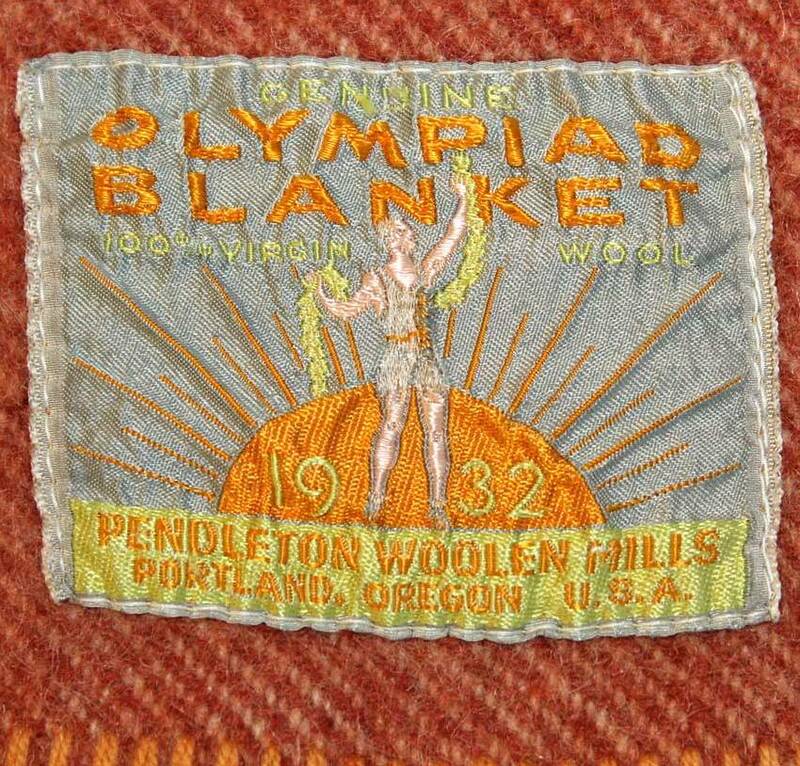 In 1932, we won the commission to provide blankets to the Olympics. 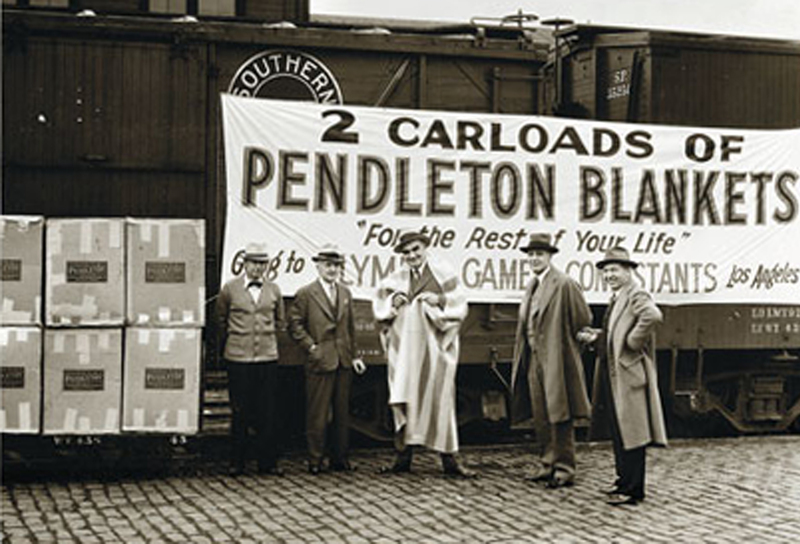 Here is a photo of the blankets leaving on a train for Los Angeles. There are several known colorways for these blankets. In our archives, we have only one, with a very warm color scheme. There are also a light blue and a brights-on-white patterns out there, but we haven’t been able to track down examples. There might even be more. Here is our archival blanket. Here is a close-up of the label. 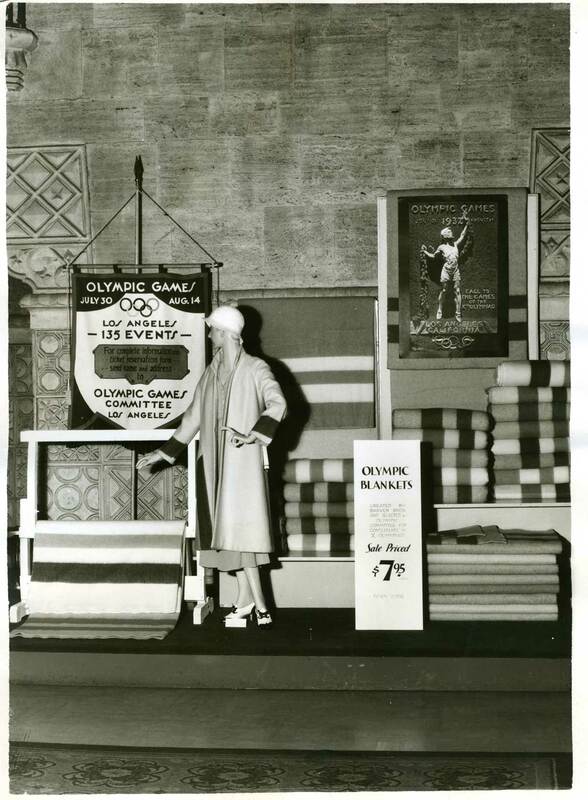 Olympic fever is nothing new, and Pendleton traded on it with themed displays. In the displays, mannequins wear tasteful blanket coats that look modern. We are not sure if those were sewn and offered for sale by Pendleton, or sewn just for display to encourage consumers to get creative with the blankets. 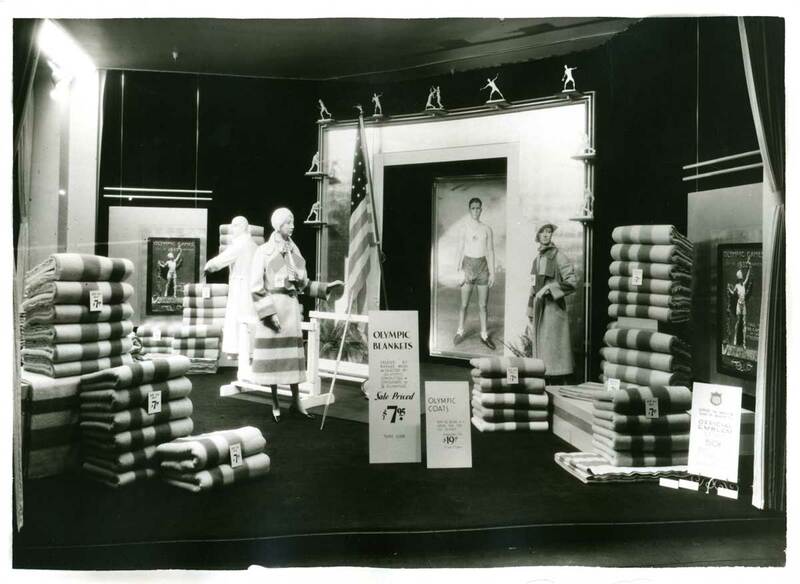 Pendleton did manufacture labeled blanket coats for women over the years, but our first women’s sportswear line debuted in 1949 with our 49’er jacket as the centerpiece. And yes, at $7.95, you can’t beat that price. It has been a winter of winters here in the US, so as you sit back and enjoy the competition this year, we hope you stay warm. 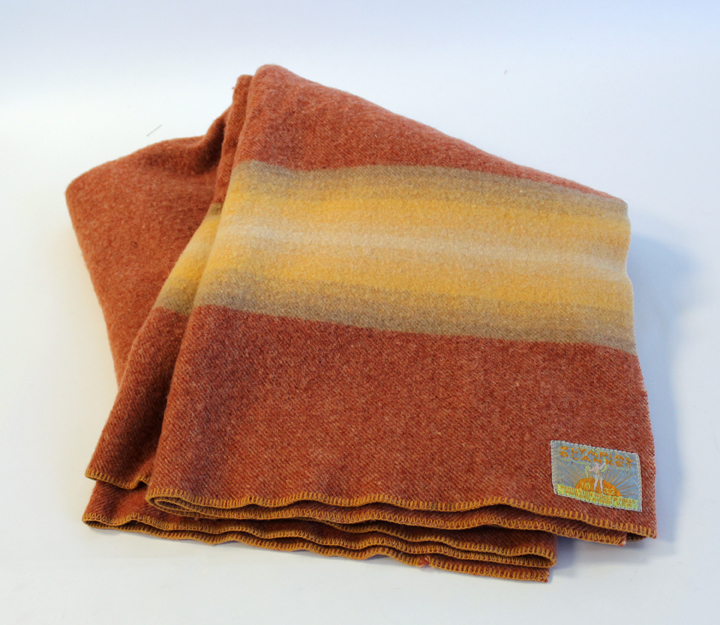 And if you have an example of the other colors of the Pendleton blankets, drop us a line! We would love some color photos. That label is simply amazing. I’m so glad that they thought to give these blankets a special label. And thanks for the link and mention! HI Lizzie! In clothing, as our care and origin labeling requirements grow, our branding labels tend to be pared down. There’s only so much you can bear against the back of your neck. But we do label our blankets thoroughly, knowing how crucial the labels have become in identifying the era of manufacture. HI, I can’t find the page. Can you provide a link?